January 27, 2009- At 15:45 Stations 1 & 4 were dispatched with Districts 56, 42, and 47 on an Automatic Fire Alarm at 1000 Orwigsburg Manor Road, Orwigsburg Boro (Orwigsburg Manor Nursing Home). As units from Schuylkill Haven were going responding, all fire units were cancelled because the nursing home was conducting a drill. Time out was about 15 minutes. January 27, 2009- At 11:30 Station 1 was dispatched for Ladder 725 to 308 West Mifflin Street, Orwigsburg Boro, to assist Orwigsburg Fire Department on a chimney fire. However, before the Ladder could get into Orwigsburg Boro they were placed available by 56 incident command. January 25, 2009- Working Fire in Wayne Twp. 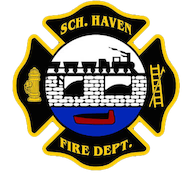 January 23, 2009- At 13:33 all 3 Haven stations were summoned to the Schuylkill Haven High School, 501 East Main Street, for an Automatic Fire Alarm. On Duty Chief 720 (Peel) very near to the school, cancelled all units prior to response because the school was having a fire drill. January 23, 2009- At 07:00 station 4 was dispatched to assist Districts 47 and 56 ( Landingville and Orwigsburg) on an Automatic Fire alarm at 43 Ranch Road, North Manheim Twp. However, before any units could go responding, they were cancelled by Command, as it was found to be burnt toast in the residence. January 21, 2009- At 18:54 station 1 was dispatched for Rescue 727 to assist District 41 ( Cressona) on a motor vehicle accident with injuries, unknown entrapment, with the vehicles reported to hit head on. As the rescue went responding, Chief 41 (Mansell) advised of no entrapment, but continued the rescue in to assist with patient care until ALS arrived. Rescue was busy for about 20 minutes. January 18, 2009- At 19:51 stations 1 & 4 were dispatched to assist District 41 ( Cressona) on a possible garage fire at 401 Stoney Run Rd. North Manheim Twp (insided Chestnut Hill Development). However, as Chief 41 (Mansell) arrived on scene he slowed everybody down as there was nothing visual from the garage. Shortly after that, he cancelled all incoming units as it was just a propane heater in the garage. All units were cleared within 10 minutes. January 16, 2009- At 13:31 stations 1 7 2 were dispatched to assist Orwigsburg, Deer Lake, and Landingville on a possible commerical fire at 49 Pinedale Industrial Road, West Brunswick Twp. As units went responding, the second call back stated that there was dust believed to be on fire inside the duct work of the building. The 2 companies from Schuylkill Haven were on the scene for just over an hour. January 16, 2009- At 07:25 all of Schuylkill Haven was dispatched to assist Cressona Fire at 49 Willow Street, Cressona Borough, on a lift assist. Crews arrived on scene to assist Medic 63-01 in lifting a patient from inside his residence to the awating ALS truck outside. Everyone remained busy for roughly 1 hour.